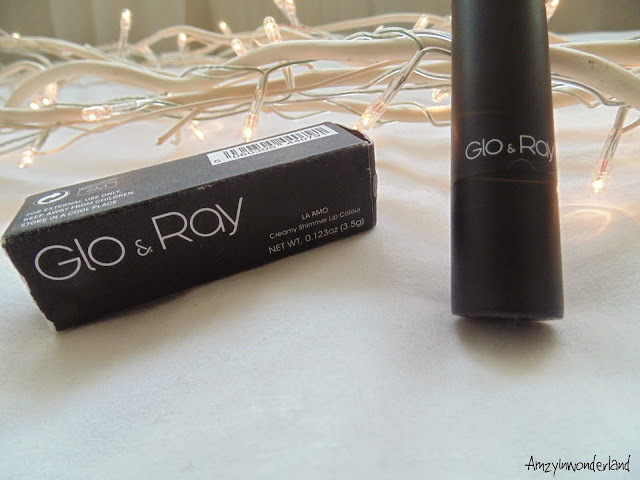 Glo & Ray is a cosmetic company that made it's debut in September 2012 in London. Glo&Ray is intended to present professional and carefree cosmetics for women worldwide. 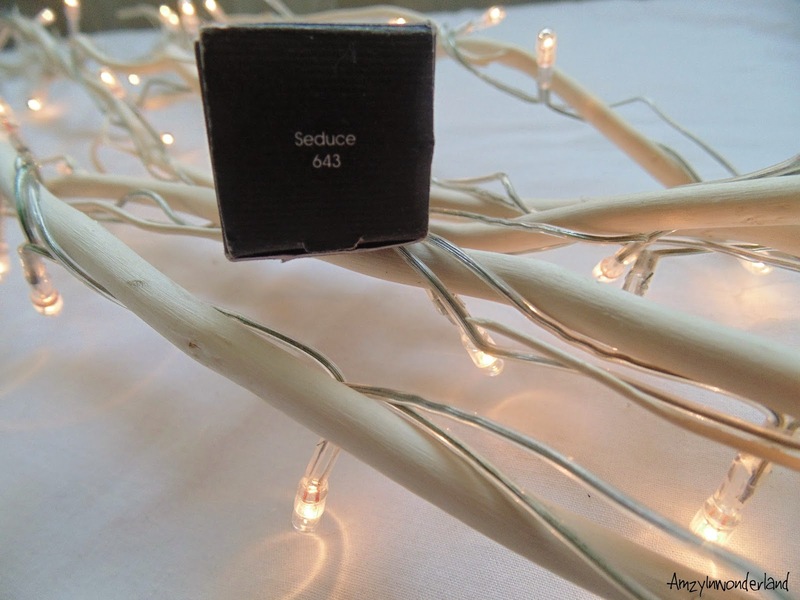 The products range applies to eyes, face, lips and more. 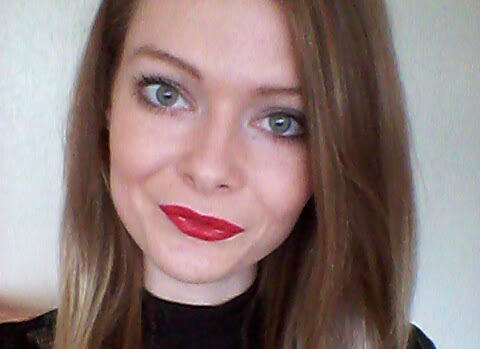 I have been wearing the La Amo Creamy Shimmer Lip Colour in Seduce 643 (£12)*, for the last few weeks and this lipstick has instantly become my autumn must have. 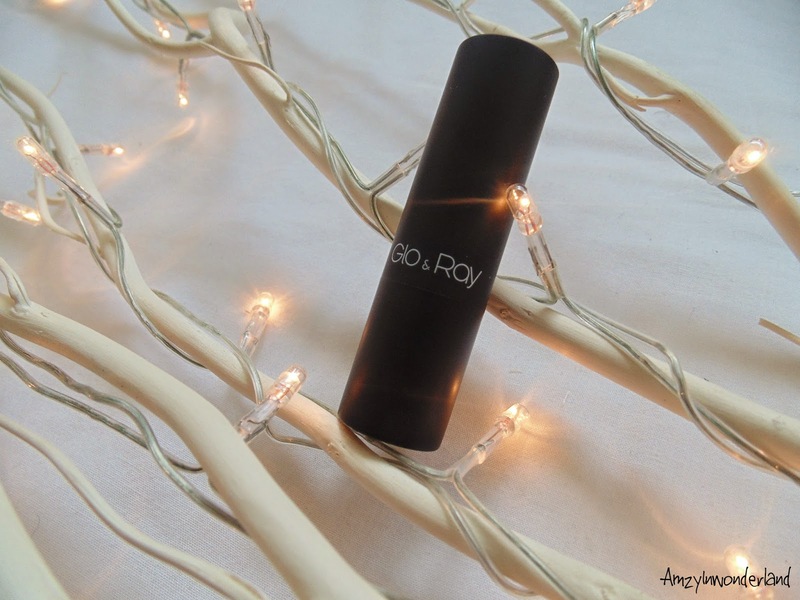 This lipstick contains many ingredients which are used to repair and condition your lips such as Polyglyceryl-2 Triisostearate, Diisostearyl Malate and Caprylic/Capric Triglyceride, so there was no doubt that when I applied this lipstick, my lips would feel moisturised. 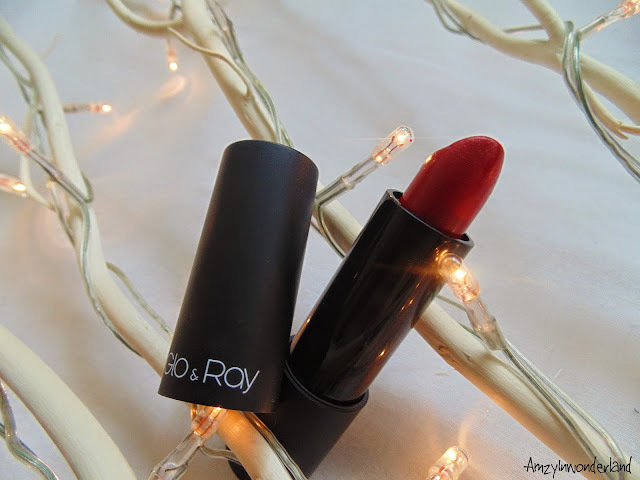 The fact this lipstick has many moisturising agents in, has made it perfect for Autumn/Winter. 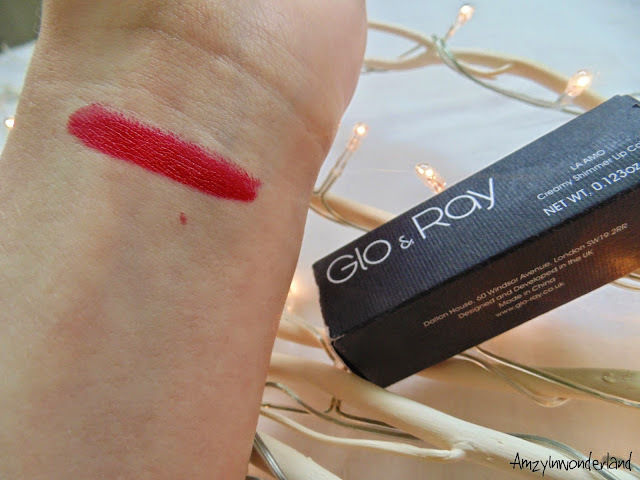 When applied, the lipstick creates a beautiful vibrant red which I adore. The best part is, because the lipstick has shimmer, this provides a shine on your lips which create a fuller lip look. For all you girls with small lips, I personally recommend using a lip brush, and line around your lips first as you would a lip liner, then put the lipstick on, this is the trick I like to do as my lips are usually non existent. My favourite part of this lipstick, is the fact on regardless on the environment you're in, this lipstick lasts all day. Of course as the day goes on, the vibrant colour slightly wears off, but there really isn't a need for you to reapply this lipstick as your lips will stay perfectly red throughout the day, even after eating and drinking. I really like the packaging as it's bold, clean and minimalist. This to me, creates a very good image on the brand and I would personally pick this up if I were to see it in store over a product that is trying to over sell by the package it's in. Overall, for the price of their lipsticks, I say it's worth the £12. 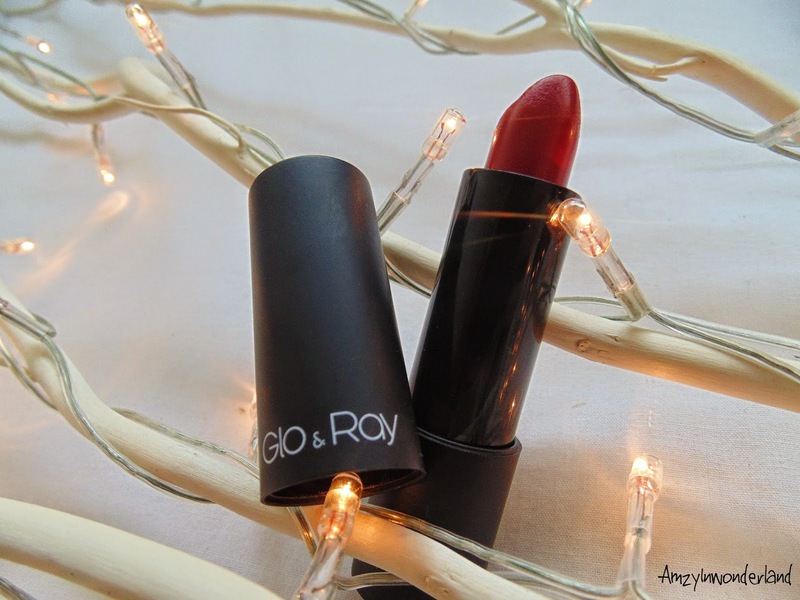 This is a lipstick you really can't go wrong with! 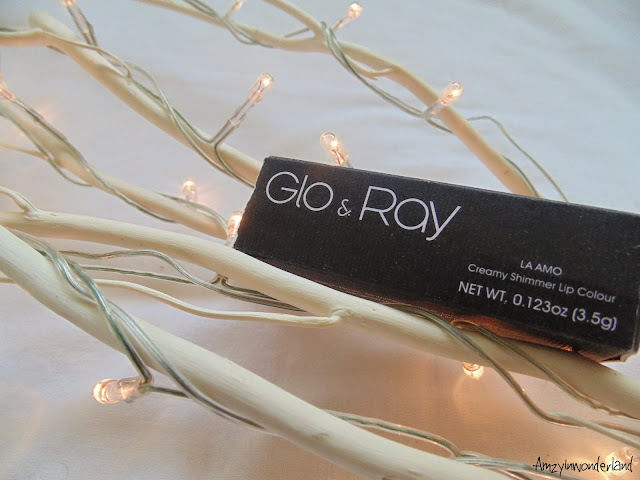 You can purchase Glo & Ray products here, and you can follow all updates on Glo & Ray here. Excuse the quality of the picture, this was taken on my phone. This lipstick is so pretty! It looks great on you! Wow it's a beautiful shade and you really pull it off! Stunning! What an amazing shade, love it!